This beautiful waterfront restaurant in Duck offers fresh regional cuisine in a casual and elegant setting. Delicious culinary masterpieces with locally farmed ingredients, fresh locally caught fish and all natural meats are on the menu. The innovative wine list, craft beers and creative cocktails are second to none. 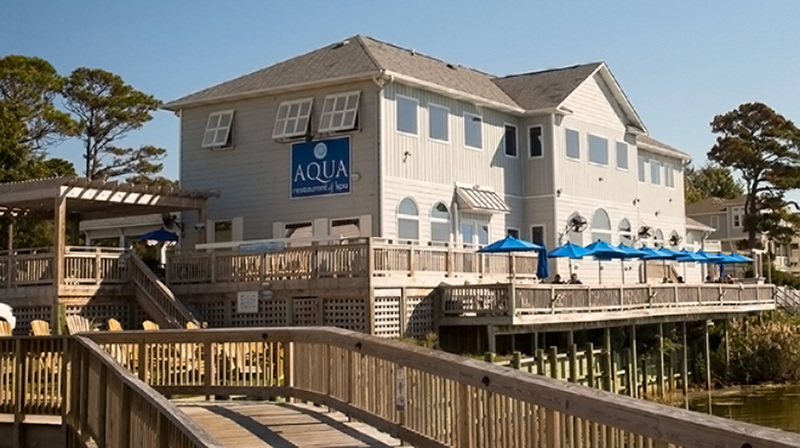 For a tasty lunch or dinner, live music, a beautiful sunset or good times with friends and family, AQUA is the place to be. Outer Banks Taste of the Beach - A Taste of Duck Dining CrawlOuter Banks Taste of the Beach Event. A Taste of Duck Dining Crawl features a tapas tour of three of Duck's finest restaurants.